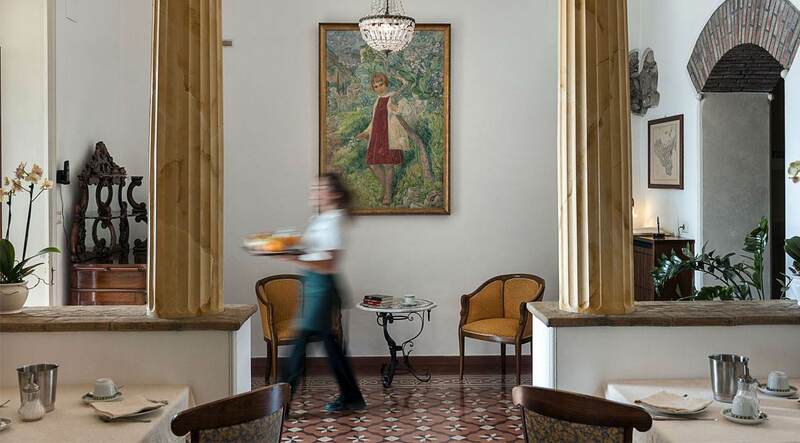 Family-owned for 3 generations since 1905, the Villa Schuler is the oldest owner-run hotel in Taormina, Sicily. It is characterised by its refined ambience and informal atmosphere inviting its guests to experience it as a real “home”. In recent years the hotel has been extensively refurbished, always emphasizing its original elegance, charm and atmosphere. Constantly updating features and services. 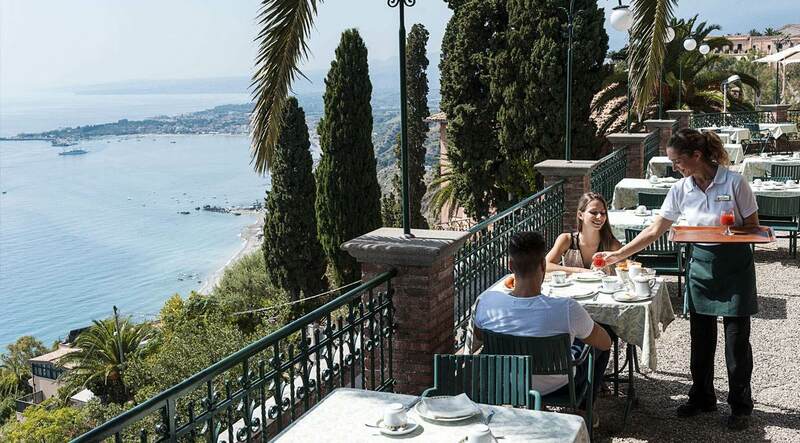 Superbly and centrally located in the historic center of Taormina, surrounded by its own extensive, subtropical, shady terraced gardens, its unique and quiet position offers stupendous views of snow-capped Mount Etna and the Bay of Naxos. Strolling through our gardens, it’s just a 2 minute’s walk to the delightful Botanic Gardens or to Taormina’s famous traffic free “Corso Umberto”, and only 10 minutes to the ancient Greek-Roman Theatre, the bus terminal and the cable car station, linking Taormina to the beaches of Mazzarò and of Isola Bella. The public areas are decidedly numerous and comfortable, with the utmost attention to service and detail: the exotic gardens, one of the largest green lungs of Taormina and famous for its astonishing variety of botanically labelled plants, the panoramic palm-terrace overlooking the whole coastline, the palm-terrace pavilion, the lobby with it’s bar and panoramic lift, the breakfast hall with piano, satellite TV and reading corner, a winter-garden on the 3rd floor and a rooftop solarium with breathtaking, unobstructed 360-degree views of Taormina and its surroundings. 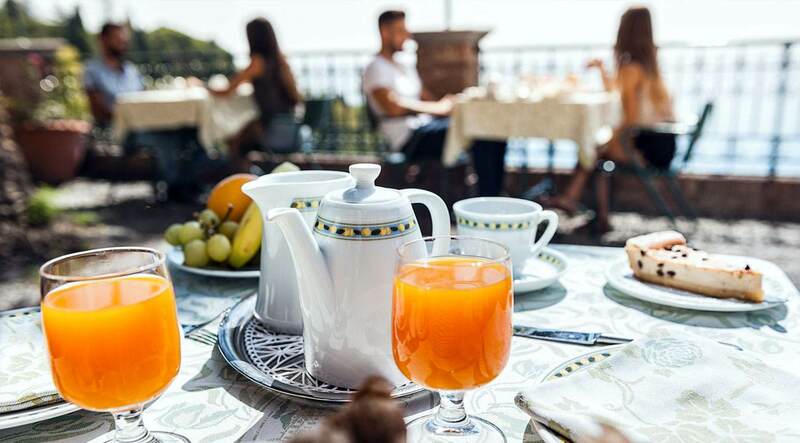 You have the choice of having an enhanced breakfast embracing Slow Food criteria served “à la carte” in either the breakfast room, on the panoramic palm-terrace, in the elegant orangery or in the privacy of your own room. 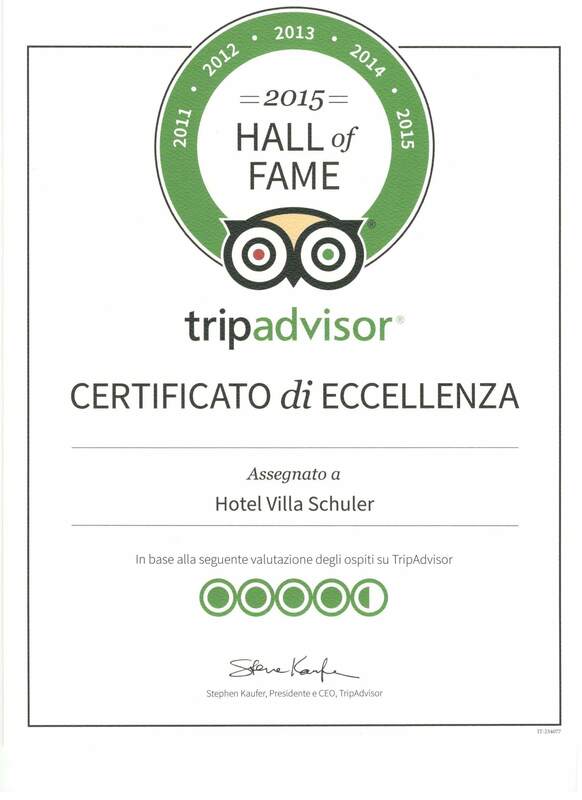 The hotel has 21 rooms, 5 Junior Suites and one “Garden Villa Suite”, all fully equipped with modern facilities. Our guests arrive from all over the world, mostly individual travellers. The service offered is courteous and very personalised.